Are you looking for security to protect your loved ones and your home or business from intruders? You are not alone. Every 13 seconds, a break-in happens. More than 2.5 million break-ins happen each year in the United States. Break-ins can take place at any time, in any neighborhood, and some criminals do not care if you are at home or away. A home security system just isn’t enough…it can take several minutes for the police to arrive, and by then, too much damage can be done. If you are researching protection dogs to educate yourself before making a purchase, you have come to the right place. 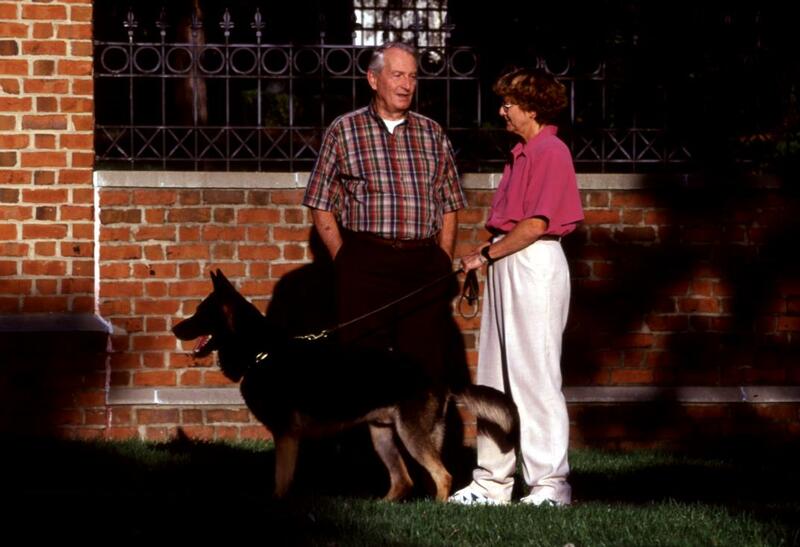 German Shepherd protection dogs can offer a level of security and peace of mind for your family that simply can’t be matched. 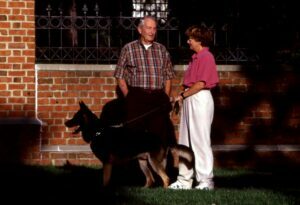 Wayne Simanovich dogs are trained to handle all types of threats as well as to blend seamlessly into your family’s lifestyle. A Wayne Simanovich protection dog is a loving and loyal companion who will keep your family safe 24 hours a day, 7 days a week. Only a select few trainers in the entire country are qualified to train world-class protection dogs. Thankfully, Simanovich Protection Dogs offers protection dog delivery to New Jersey and all across the United States, so you can get the very best canine companion to keep your family and your property safe against all types of threats. With over 30 years of experience and numerous wins in international dog training competitions, our team knows how to train the best protection dogs in the world. We know how to select the best dogs from the purest bloodlines, and we know how to give them the right training through hard work and consistency. Once you have talked with our expert team members and choose to move forward with a getting a dog of your own, your new canine will be personally delivered to your New Jersey residence. One of our trainers will even stay in town for a couple of days to assist with transitioning your German Shepherd into your environment.